Before there were parenting blogs, trophies for just showing up, and peanut allergies, there was a simpler time called the '80s. For geeky 11-year old Adam these were his wonder years, and he faced them armed with a video camera, ready to capture all the crazy. "The Goldbergs" is produced by Happy Madison Productions, Adam F. Goldberg Productions and Exhibit A Productions in conjunction with Sony Pictures Television. It was created by Adam F. Goldberg (Fanboys) and executive produced by Adam F. Goldberg, Seth Gordon (“Marry Me”) and Doug Robinson (“Rules of Engagement”). CULVER CITY, Calif. (July 21, 2014) – The ‘80s are back in full swing with the Sept. 9 DVD release of Sony Pictures Home Entertainment’s “THE GOLDBERGS: THE COMPLETE FIRST SEASON.” “The Goldbergs” is a coming-of-age comedy that brings viewers back to simpler times – when overbearing moms, gruff dads and annoying siblings were par for the course. Documenting the ups and downs of growing up in a multigenerational family in the ‘80s, this freshman-season comedy has earned big laughs, offering viewers a charming and intimate look at an average American family -- just like yours, only slightly louder and more colorful. 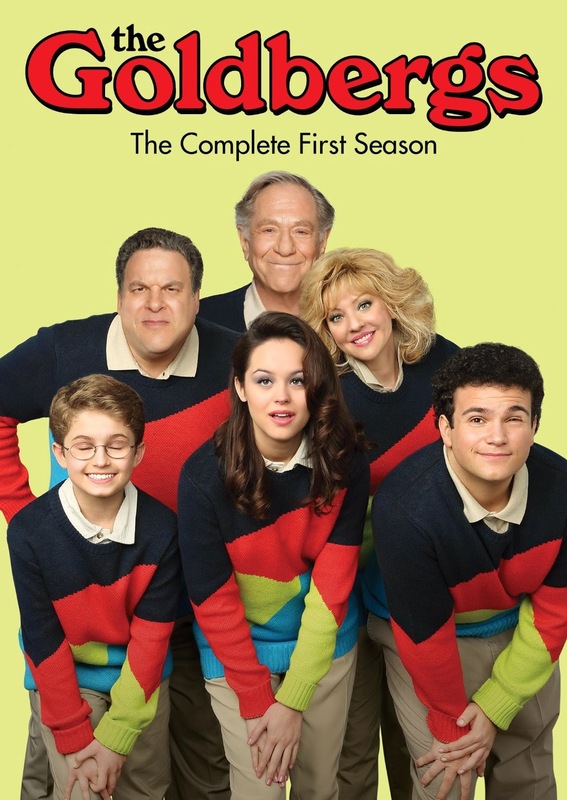 The laugh-out-loud ensemble cast starring in “The Goldbergs” includes Wendi McLendon-Covey (Bridesmaids), Sean Giambrone (“Clarence”), Troy Gentile (Good Luck Chuck), Hayley Orrantia (“The X Factor”), George Segal (“Just Shoot Me!”) and Jeff Garlin (“Curb Your Enthusiasm”). The series is narrated by Patton Oswalt (“Agents of S.H.I.E.L.D.”). 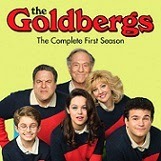 “THE GOLDBERGS: THE COMPLETE FIRST SEASON” contains all 23 episodes on three DVD discs, along with cast and crew commentary on five episodes, and five all-new, behind-the-scenes featurettes, including a look at creating the first season in “Blast from the Past: Making Season One.” Additional featurettes include “Our House: The ‘80s Revisited,” giving viewers an inside glimpse of the Goldberg home, as well as “On Set with Jeff Garlin,” featuring Goldberg patriarch Murray (Garlin). Fans can also enjoy a rare glimpse into Patton Oswalt’s process as narrator in “Patton Oswalt: Adam Grows Up.” Lastly, “Costumes of the '80s: The Good, the Bad and the Ugly” takes fans on a tour of the wardrobe department where costume designer Keri Smith reveals details on dressing a show set in the ‘80s. o Blast from the Past: Making Season One – Go behind-the-scenes with the cast and creator Adam F. Goldberg to get the inside scoop about creating this dysfunctional, yet loving family. o Our House: The ‘80s Revisited – A tour of the Goldberg house with the production design and props team to get a glimpse into the intricate ‘80s detail from the show. o On Set with Jeff Garlin – Spend a day behind the scenes with the patriarch of the Goldberg family. o Patton Oswalt: Adam Grows Up –Hear from Patton Oswalt about his favorite moments from the show & a rare glimpse into his process as narrator. o Costumes of the '80s: The Good, the Bad and the Ugly – From Beverly’s sweaters to Murray’s tighty whiteys, fans can tour the wardrobe department with Costume Designer Keri Smith.